Clare and D.R. Horton hit a new milestone with the largest base-house standard package yet! Recently, D.R. 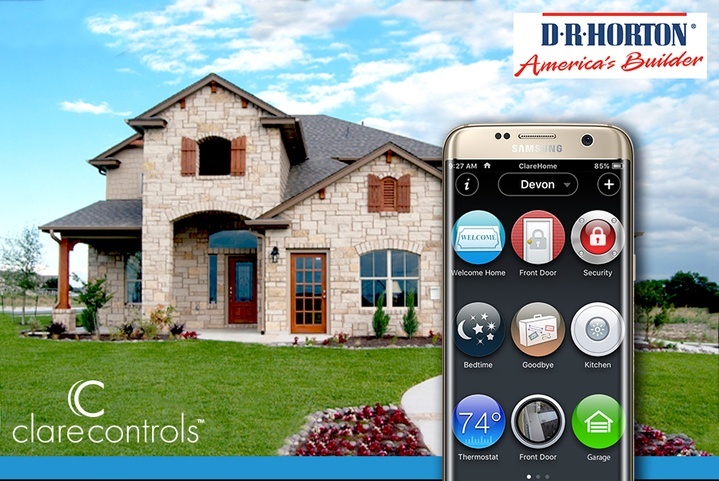 announced they would install the Clare controller, security system integration, 3 lighting loads, smart thermostat, and a front door camera as standard in every D.R. Horton Emerald home in the Dallas/Ft. Worth West area. Similarly, D.R. Horton is ramping up Clare smart homes in 7 different communities in Northern California. More and more builders are implementing Clare Controls as a standard amenity in communities across the country as homeowner demand increases. Stay tuned for more builder news coming soon.